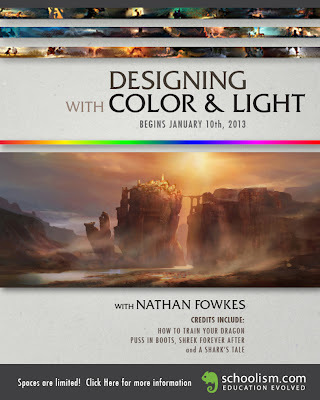 Nathan Fowkes Art: My New Online Class! 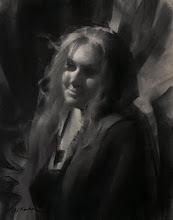 Study Concept Art with me from anywhere in the world! 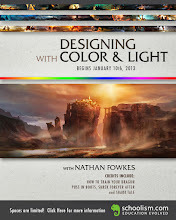 My new online class is Concept Art for Entertainment: Designing with Color And Light. Begins January 10, enrollment is limited, sign up today! 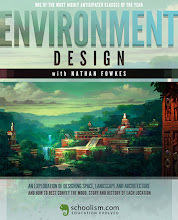 Hosted by the great people over at Schoolism! Thanks for the overwhelming response everyone, the class sold out in the first day! I welcome you to sign up for the following term, go ahead and click the link, there's a window to leave your email address to be notified.